The Shangi-La hotels are known for their legendary hospitality around the world, their unique style, refined service and distinct attention to detail. 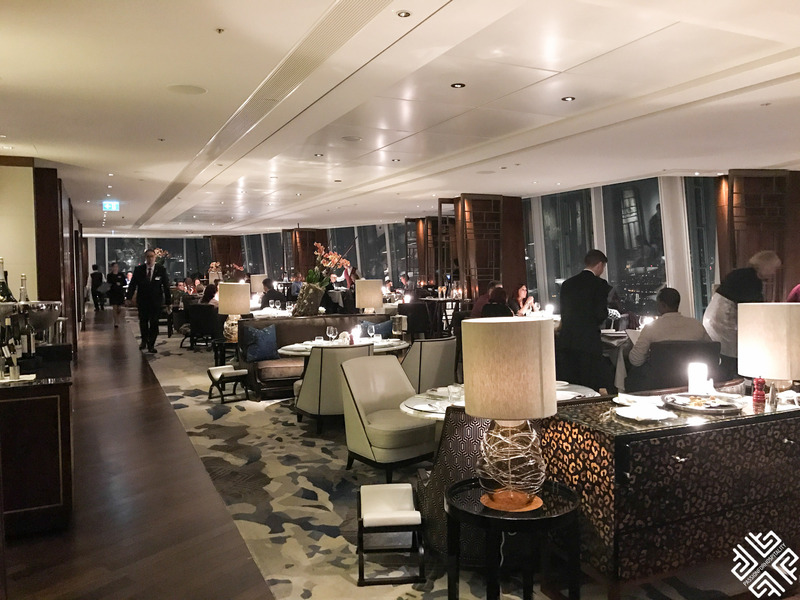 It is by far one of the most elegant hotel brands in the world, having said that I was delighted to be invited to dinner in one of London’s finest restaurants — TING Restaurant and Lounge located at the Shangri-La hotel at The Shard. 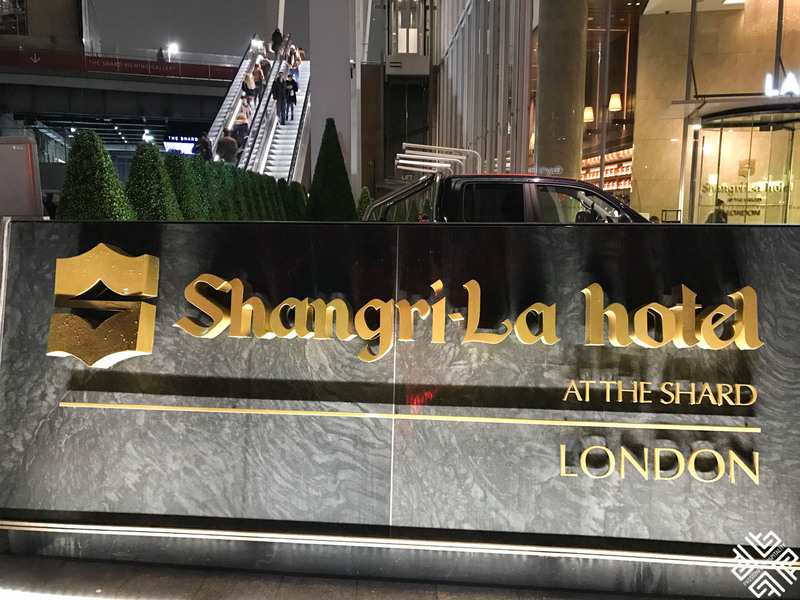 Set on the 34th to 52nd floors of London’s tallest building The Shard, the Shangri-La hotel is the company’s first hotel property in the UK. 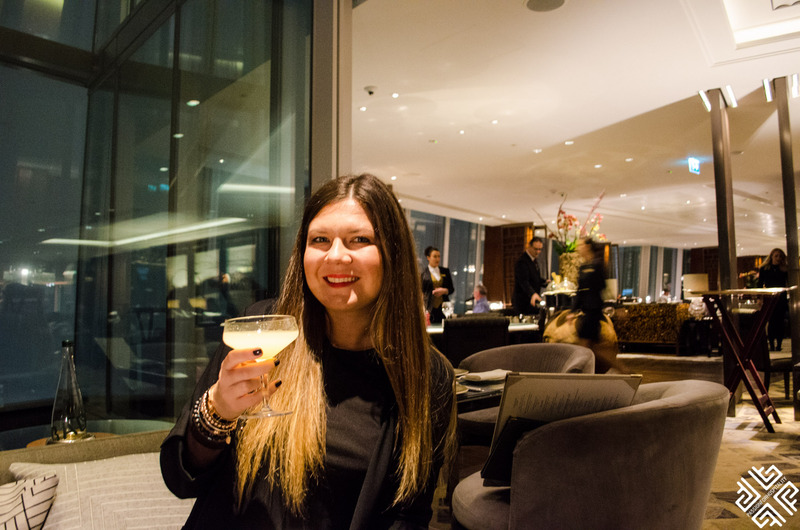 The TING Restaurant and Lounge is located on the 35th floor with breathtaking views of London, where from the floor to ceiling windows you can watch the day turn into night, as the rhythm of this dazzling city unfolds in front of your eyes. If you are lucky and the sky is clear, the view of London from here is spectacular. My friends and I had a dinner reservation for 6pm, as we arrived we were escorted to our table at the TING Lounge right next by the window overlooking the Thames River. 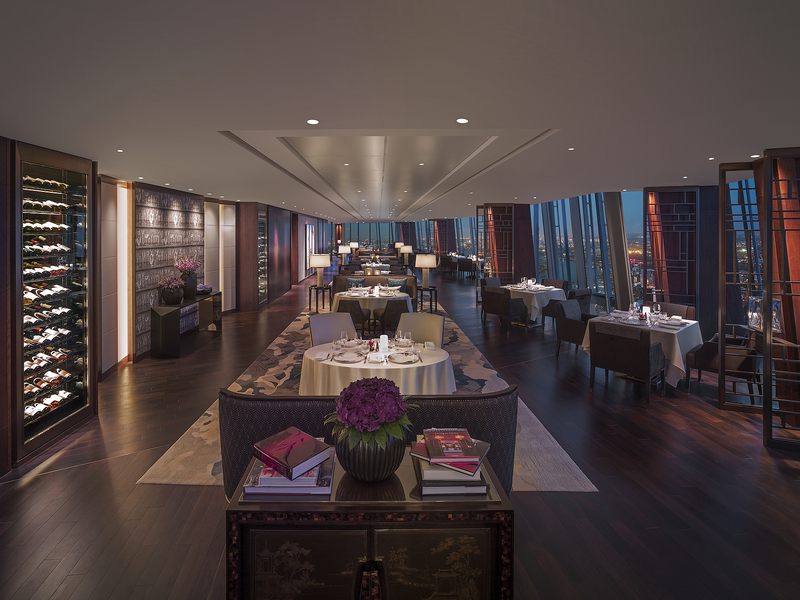 The restaurant is decorated in an elegant, contemporary Chinoiserie design. 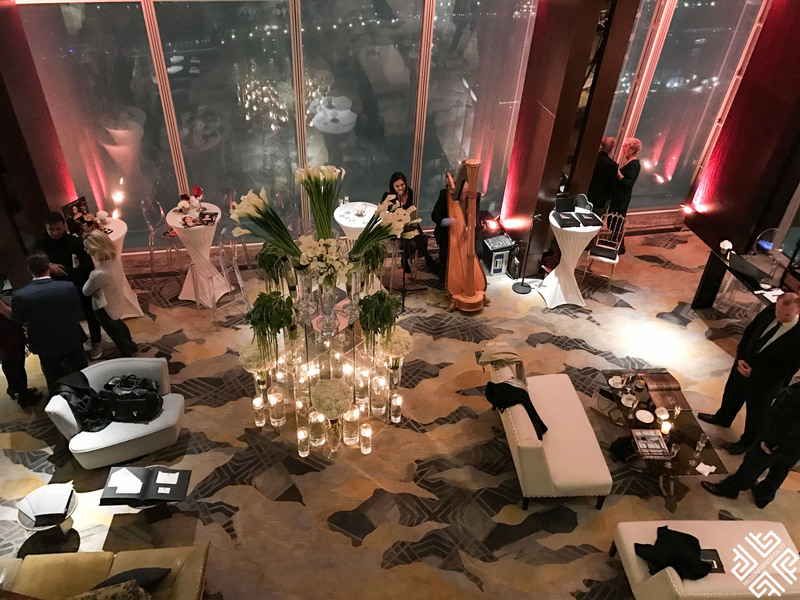 The plush furnishings provide an atmosphere of sophisticated glamour with captivating views of London’s landmarks — the Tower of London and Tower Bridge. 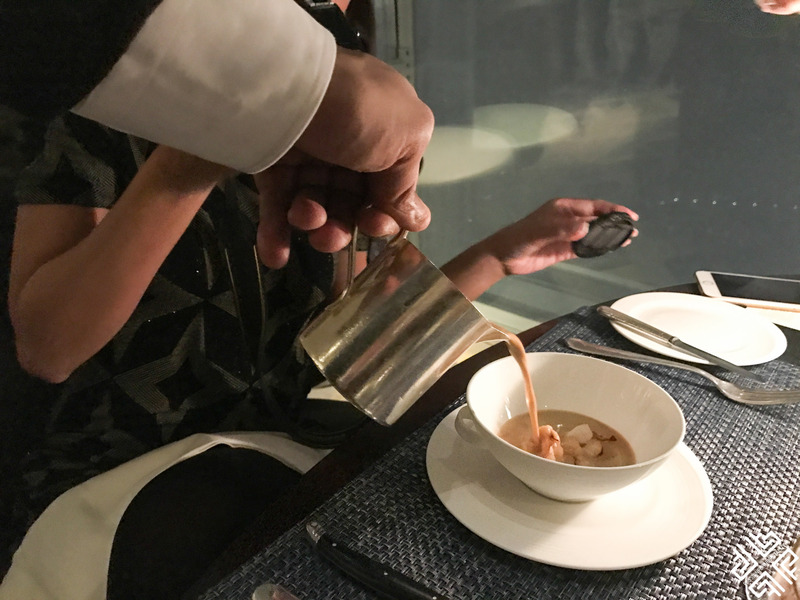 The à la carte carte menu serves authentic Asian specialties with classic European dishes which can be enjoyed throughout the day. We first started with a cocktail. I decided to try one of TING’s Signature Cocktails—the Yuzu Martini, a blend of Vodka, Yuzu Sake and Yuzu juice made from citrus fruit which originated in East Asia. It had a refreshing sour taste. 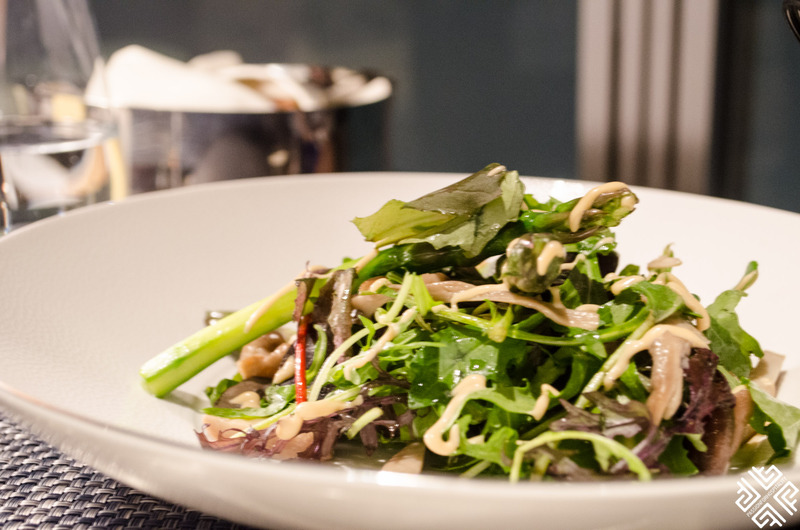 The menu features a fine selection of European, South East Asian and Middle Eastern cuisine. Although the Asian menu was very appealing we all decided to go with European comfort food. 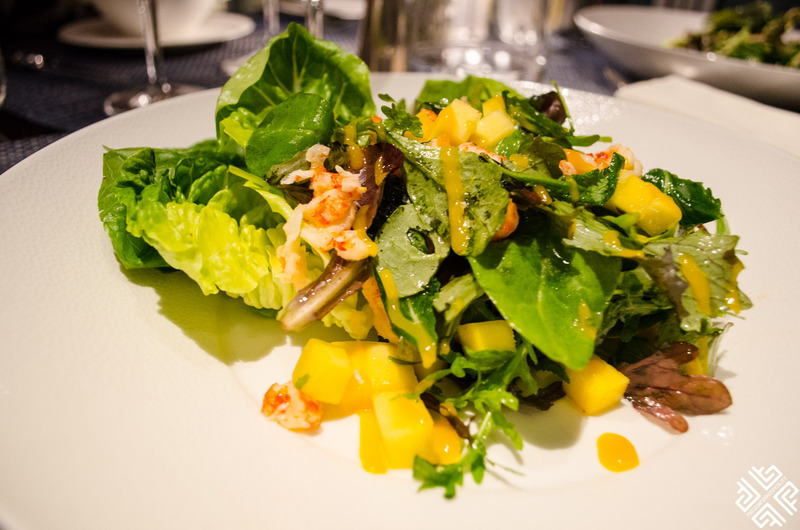 I did however try one of the Chef’s specials — the Crayfish and Mango Salad served with spiced avocado, baby gem lettuce and chives. I love avocado and mango, thus the combination of the two together with the crayfish was fantastic. For the main course we all ordered a Rib Eye Steak. I had mine medium-rare and it was perfectly grilled, served with a grilled tomato, mushroom and water cress on the side, accompanied by French fries and bearnaise sauce. 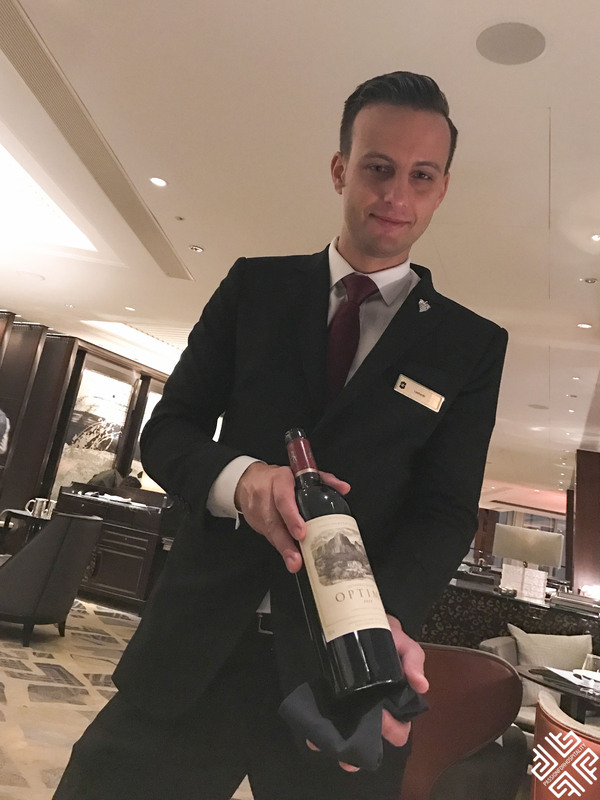 The somelier assisted us with the choice of wine suggesting the 2012 OPTIMA, Anthonij Rupert, a South African blend of Cabernet Sauvignon, Merlot and Cabernet Franc. A refined and elegant blend with a gentle taste of spices. 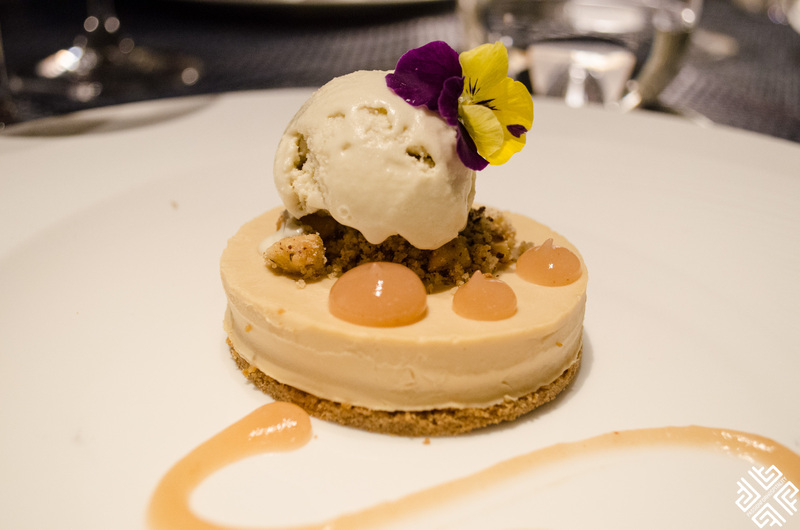 The selection of desserts was heavenly, we decided to order three different ones in order to try the crème de la crème. We tried the Dulcy Pannacotta with Peach Compote and Hazelnut Crumb, the Raspberry and Vanilla Cheesecake topped with Raspberry jelly and sensational Raspberry sorbet and the Passionfruit Crème Brûlée with Exotic compote and Mango tuile. 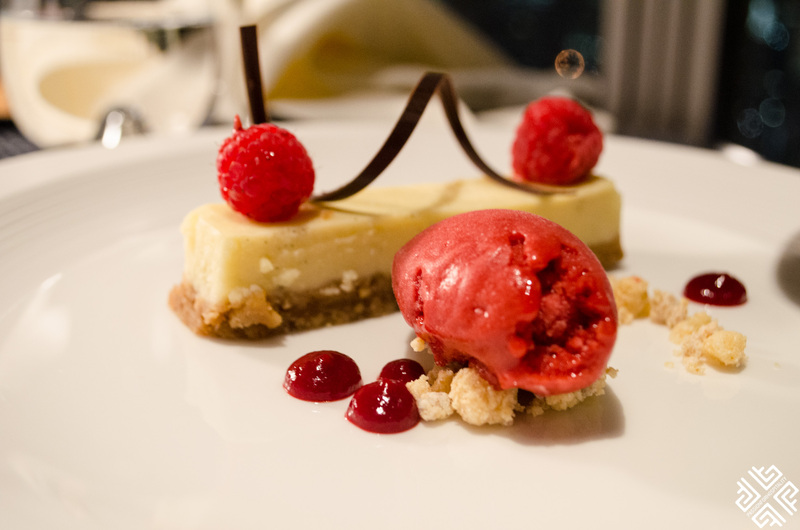 The taste and decor of all three was pure perfection and since I am a big fan of cheesecake and berries, this was my favourite one. 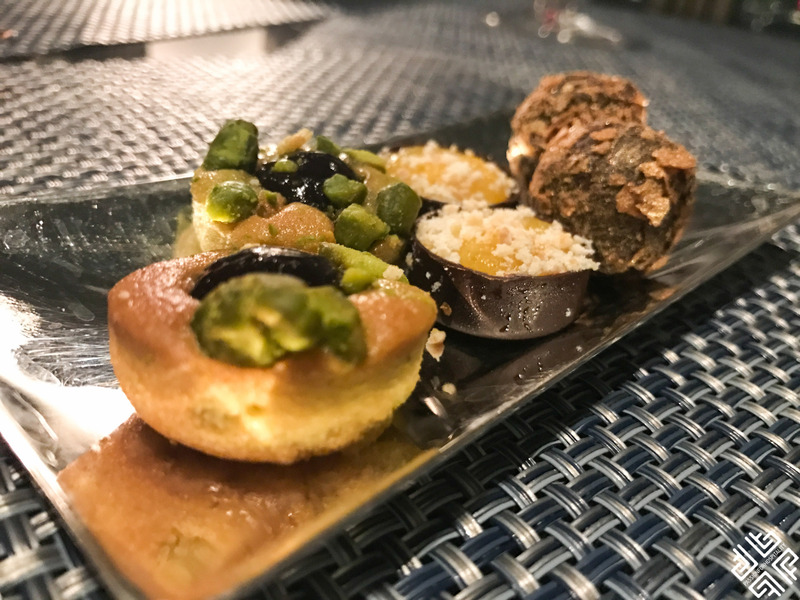 As a final treat we were served with a small sweet bites platter which was equally exceptional as the overall dining experience at the TING Restaurant and Lounge. A beautiful hotel with luxury atmosphere, sleek design and refined service. The prices are quite reasonable given the restaurant’s prime location, the ambience and the service. *Passion for Hospitality was a guest at the TING Lounge, all opinions expressed are my own. Great post. The view is unforgettable and so is the food. That wine!!!! 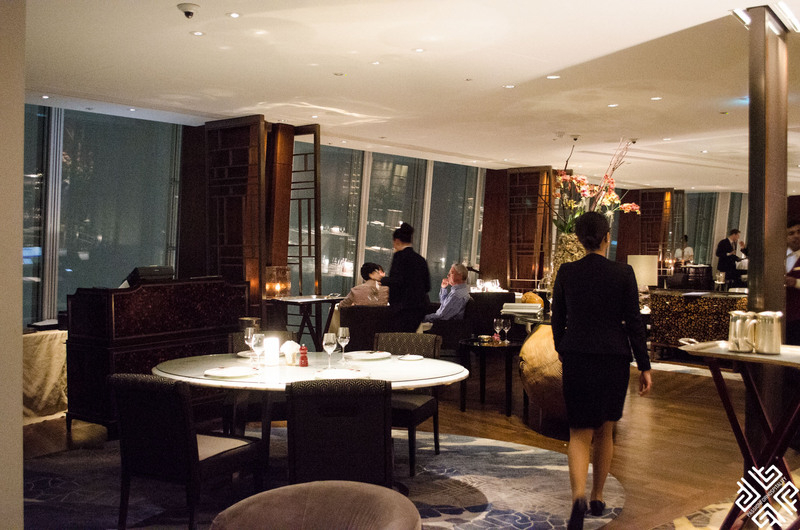 An overall incredible dining experience in London. Stunning array of food on offer in a beautiful location. You mention the prices are quite reasonable…are you able to give an indication of them? It looks delicious. Thanks Rebecca. Yes the salads are somewhere between £11- £13. 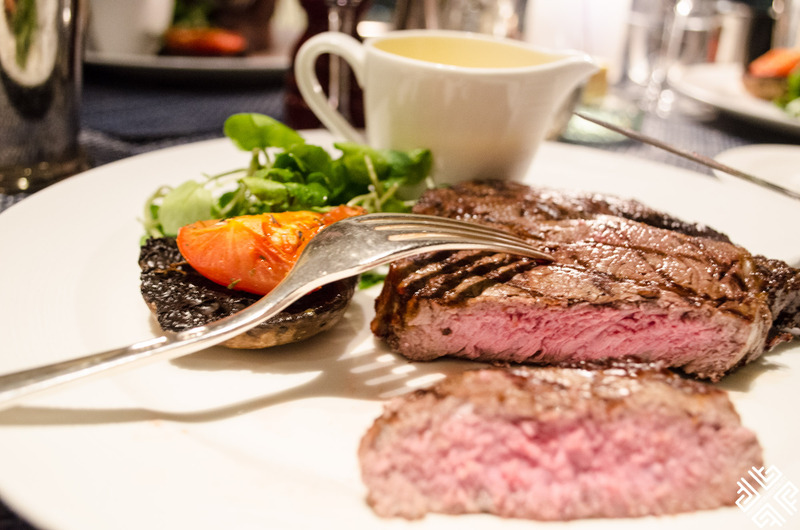 The most expensive main course is the fillet steak which is £50. Desserts are at £8. 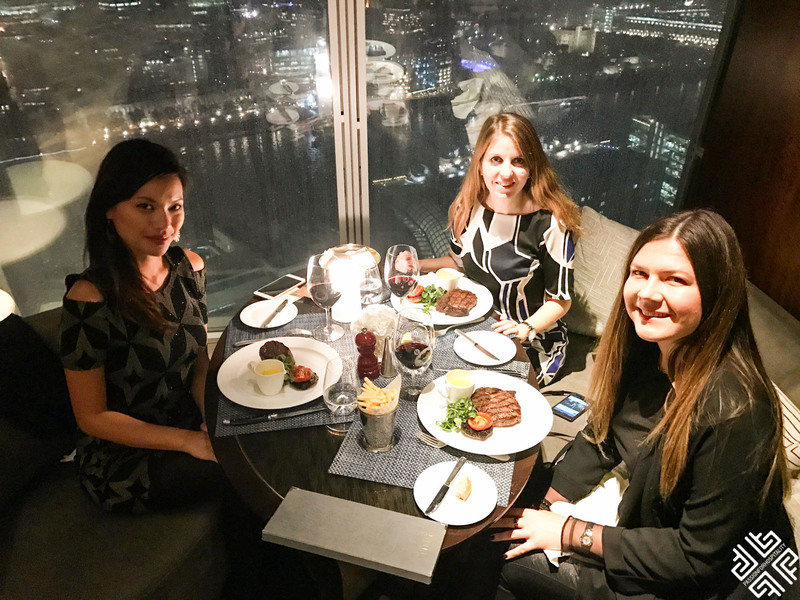 Given the location, service and the fact that it is housed in the Shard, is quite reasonable compared to other restaurants around the world.